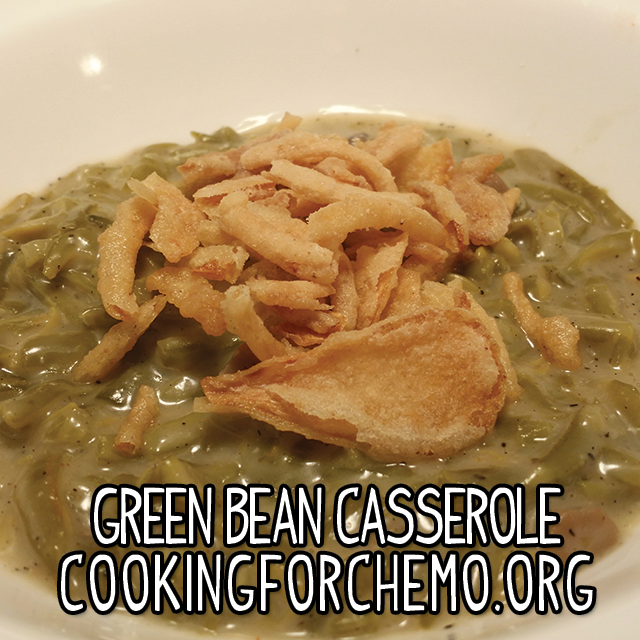 Chef Ryan’s chemo-friendly holiday green bean casserole. What would a holiday meal be without a green bean casserole? As a kid, you tend to stick up your nose and this goopy, unappetizingly colored dish. But as an adult, you realize that green beans drenched in bechamel sauce is a beautiful and tasty combination. Weight is medium but can be balanced with red wine vinegar and sugar. Good for people with low to moderate treatment side effects. Emotional response of a warm home cooked holiday meal. Best categorized as traditional American. Combine green beans, cream of mushroom soup, and seasonings into a 2 quart sauce pan and bring to a simmer over medium heat. Stir in cheese. Remove from heat and transfer to baking dish. Cover with French’s fried onions. Bake uncovered at 350 degrees Fahrenheit for 30 minutes. I recommend starting this recipe on the stove because it is easier to adjust your flavors on the stove as opposed to baking everything together at once and hoping for the best. Casseroles that contain cream of mushroom soup tend to be heavy. But by taking control of the flavor and weight in advance, we have a recipe for success. 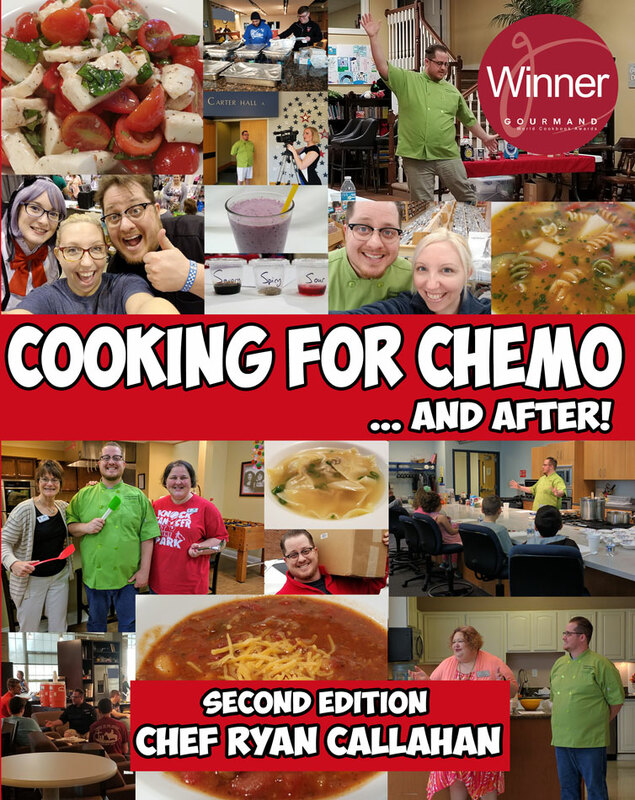 Cooking for Chemo focuses on teaching you how to make your food taste good again during cancer and chemotherapy treatments. The flavor and cooking techniques contained within our easy to make recipes will help improve your quality of life as you go through cancer and chemotherapy treatments. Our cooking and flavor techniques can be integrated with any diet regimine. All of our recipes can be made with organic ingredients if you choose. Our holistic approach to cooking will help you not only be able to eat but to also enjoy the taste of your food again during and after cancer and chemotherapy treatments. We have many healthy recipes, crockpot recipes, chicken recipes, dinner recipes, shrimp recipes, pasta recipes, soup recipes, vegan recipes, salad recipes, vegetarian recipes, breakfast recipes, and even a great chili recipe. Talk with your oncologist and dietitian to come up with a quality nutrition plan. This site is not to be taken as or used instead of professional medical advice. Please consult your doctor, oncologist, and dietitian before starting any new diet.